U.S. citizens abroad often receive medical care at U.S. military facilities, especially when local healthcare standards are suspect. But what happens when these patients suffer injuries due to malpractice? Sovereign immunity protects U.S. government entities from lawsuits overseas, but injured parties can seek redress under the Military Claims Act (MCA), a law that allows, retirees, U.S. civilians, and dependents of active duty service members to bring claims for personal injury, wrongful death, and property damage. Active duty military cannot file under the MCA or the Federal Tort Claims Act for injuries arising out of their military service. Their remedy is exclusively reserved to the Department of Veterans Affairs. If you qualify under the MCA, you can file a Standard Form 95 with the military service which has single service responsibility over the country where the injury occurred. The statute of limitations for filing a claim against the U.S. government is two years from the date of the incident. You must pass the threshold test of demonstrating that the elements of a tort exist. This means that you suffered harm due to negligence. Negligence exists when a person, such as a doctor, has a duty to perform with a certain level of care, but acts carelessly and injures another. With your claim, you must include the amount of compensation you feel you are due. You should be aware of certain wrinkles in the administrative process that limit your rights to submit evidence and appeal a decision. You can subpoena medical records and other documents related to your case, but you may not depose or cross-examine government witnesses. You may supply additional records and expert opinions documenting the extent of your injury. The finder of fact in your case is not an impartial judge; U.S. government personnel examine the evidence and render a decision. You have a limited right to appeal that decision, but in all likelihood the case will be referred back to the same evaluators who issued the first decision. Don’t handle this complex filing yourself! Injured patients who have a claim for medical malpractice should not attempt to file their claim without assistance from an experienced attorney. Successful malpractice claims can amount to hundreds of thousands of dollars, but awards are entirely up to the discretion of the claim reviewers, and a simple error in filing can result in a complete denial. At that point, there may not be enough time to find a qualified attorney and mount a successful appeal. Don’t take chances with your MCA claim. 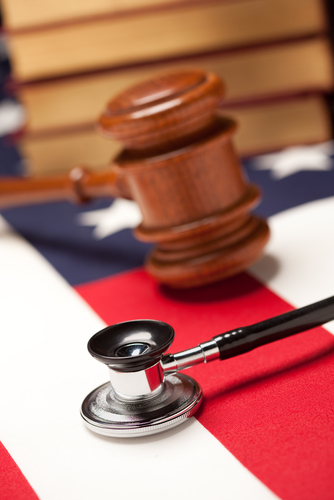 Seek advice immediately from a knowledgeable VA attorney.